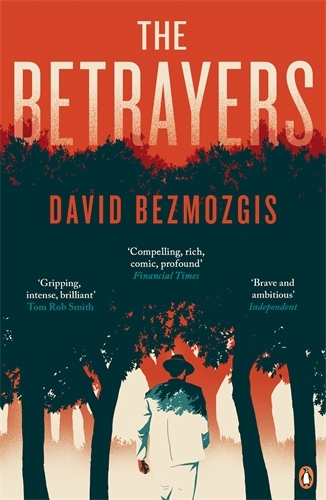 The Betrayers by David Bezmozgis is a searing novel about a man whose principles are tested to the utmost extremes. "Impressive...alive to how reversals of fortune change individuals." (Sunday Times). In a small crumbling resort in the Crimea, two men meet after many years apart. Kotler has fled Jerusalem with his young lover after taking a decision which has now cost him everything. Yet the other, Vladimir, would rather discuss the distant past: a long time ago, Kotler was betrayed and imprisoned - and now there must be a reckoning. With the world on his trail, Kotler would like nothing better than to hide. However, the consequences of decisions old and new return to haunt him..."Gripping from the outset. Brilliant." (Tom Rob Smith). "Compelling, rich, comic, profound." (Financial Times). "Brave and ambitious." (Independent). "Very impressive. As gripping as a political thriller, but probes issues of loyalty and betrayal more deeply than most thrillers ever aspire to do." (James Wood, New Yorker, Books of the Year). David Bezmozgis was born in Riga, Latvia, in 1973 and emigrated with his parents to Toronto in 1980. His first novel, The Free World, was shortlisted for the Giller Prize and was a New York Times Notable Book of the Year. His collection Natasha and Other Stories was shortlisted for the Guardian First Book Award, was a New York Times Notable Book of the Year and won the Commonwealth Writers' Regional Prize for First Book. De quoi se poser des questions sur le destin et les conséquences de ses choix. Une lecture dont on sort grandi !